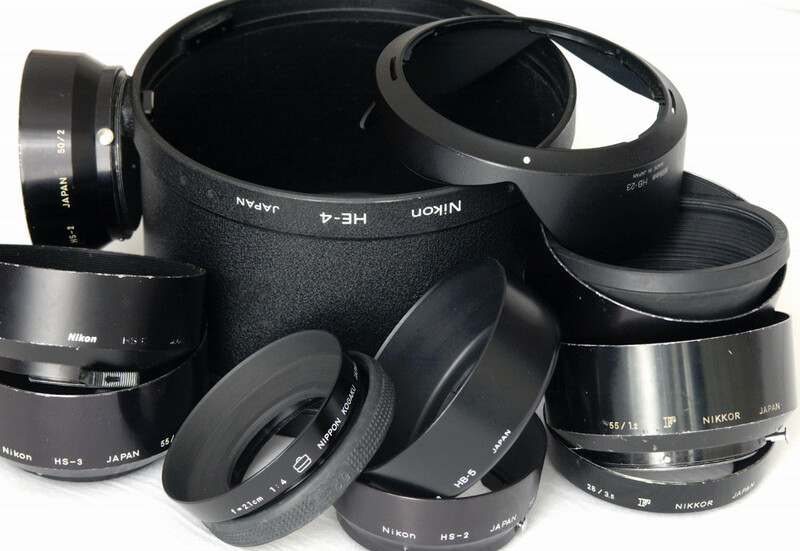 For nearly all lenses Nikon Corporation produced, it supplied one or more hoods. Some lenses like fish-eye lenses and long tele lenses have a built-in hood. Nikon gave its hoods a product code, although the very first didn't had a name or number. Unfortunately Nikon asked an extra amount of money when buying a lens and requesting for the appropriate hood. It seems however that Nikon Corporation changed that policy recently. Some of the hoods Nippon Kogaku K.K. alias Nikon Corporation supplied! *Hoods made for LCD screens and Coolpix cameras are not listed here! 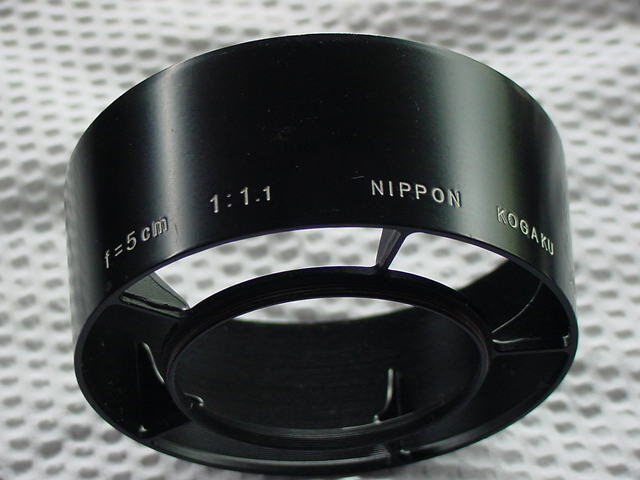 For hoods for Nikkor lenses made for Nikon rangefinder cameras see relevant chapter. Hoods for early SLR lenses (see above) were engraved with an open F & Nikkor and the focal length in cm. or mm. + the maximum aperture. Later Nikon used a variety of codes, which are abbreviations of Japanese and/or English words indicating the type of hood. click on the code below to see the entire list of hoods. HN-E & HN-CP = hoods made for most Coolpix cameras - check the manual of your camera to find out whether a hood is available! Most hoods are made to fit Nikkor lenses with a screw thread of 52 mm. But for lenses with a larger front lens hoods were made too; as you will see. For some lenses more than one hood were/are offered. The most expensive Nikon hood of all times !